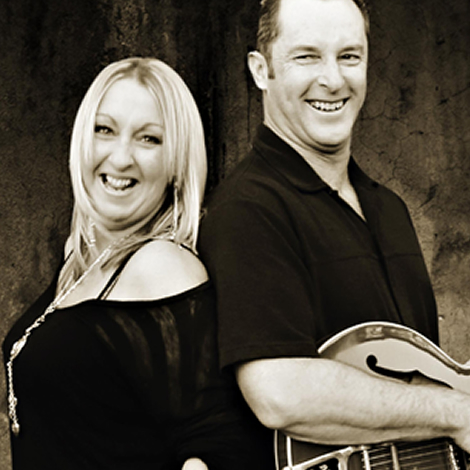 Open Fire Duo consists of Danielle McIver on vocals and Steve Smillie on guitar. They play a mixture of acoustic style music through to up tempo classic rock dance music that can cater for any function from corporate, weddings, pub or club gigs. Danielle's amazing vocal ability and Steve's guitar work blend perfectly together. All done with a fun and very professional attitude. Dani has worked in the music industry as a professional performer and vocal instructor for 26 years, with extended professional engagements throughout Australia and overseas. Steve has been a guitarist performing professionally from the early 70,s. Steve’s origins were in country music and as time has moved on he has found himself just as comfortable in rock, jazz, pop, blues, funk and reggae styles as well.